The way humans share meals is one of the ways we are set apart from all other animal species. From the beginning of our existence, our consumption of food isn’t simply about survival, it is a means of socialization and pageantry. We use food to get acquainted, celebrate, worship, and woo. 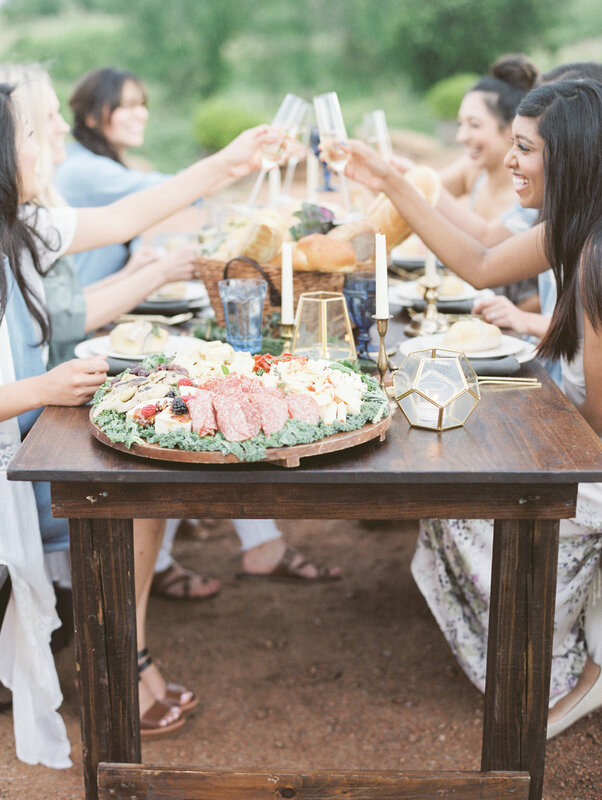 No matter the many different circumstances for which we congregate and feast, this universal ritual has the same premise: gather, eat, connect. My husband and I recently experienced a delightful dinner party. Several guests had been invited to our friend’s lovely home in historic Oklahoma City, some we knew, some we didn’t. We sipped red wine and gluten free beer and laughter rang out as we all became more acquainted. Over savory barbecue, we discussed money, politics, religion and race. We debated controversial topics like passionate intellectuals and chuckled about the mundane in our lives like old buddies. Though we did not agree on everything, our hearts were unified by love and by the idea that each of us possessed an unquantifiable value and unique perspective. We were brought together intentionally by our one common connection, and while we may have begun as strangers, we parted friends, the boundaries of our small world newly expanded. In doing research for this article, I noticed several positive characteristics about sharing meals with friends and family, such as: It promotes mental and physical health by acting as a mood booster, relieves stress and increases the level of intimacy which makes people feel happier, and home-cooked meals tend to be healthier than ready-made ones. These effects are obvious as we all can think back on memorable meals we enjoyed, but in the past, and even now, there are those who would keep mealtimes as exclusive, private affairs. For example, the rich would not eat with the poor, servants could not eat with their masters, and in many cultures, women could not eat with men. Even in today’s society, many of us probably keep most of our shared meals confined to family and friends we know well. While there is nothing wrong with spending time with those we hold most dear, if we are striving to be impactful women in our daily lives, it is time to broaden our boundaries, on purpose. A study summarized by the Harvard Business Review suggests that having employees eat lunch or other planned meals together is an extremely effective team building strategy. More and more employers are turning to this method because it is simple, yet impactful. Someone who understood the power of a purposeful meal long before research like this was published, was Jesus. There are several accounts in the New Testament, like in Mark chapter two, where Jesus went out of his way to dine regularly with people who were considered social outcasts. He was ridiculed for it, but did it anyway. Jesus demonstrated how to use mealtimes as an act of love and inclusion rather than isolation and exclusion. If this strategy can work to draw families and friends together and build stronger teams, couldn’t it be used to unify our cities? In a world where differences are still often met with fear and misunderstanding, breaking bread with our neighbors can be an effective weapon against social injustice and hate. With every meal we have an opportunity bridge gaps and create a loving, accepting community. 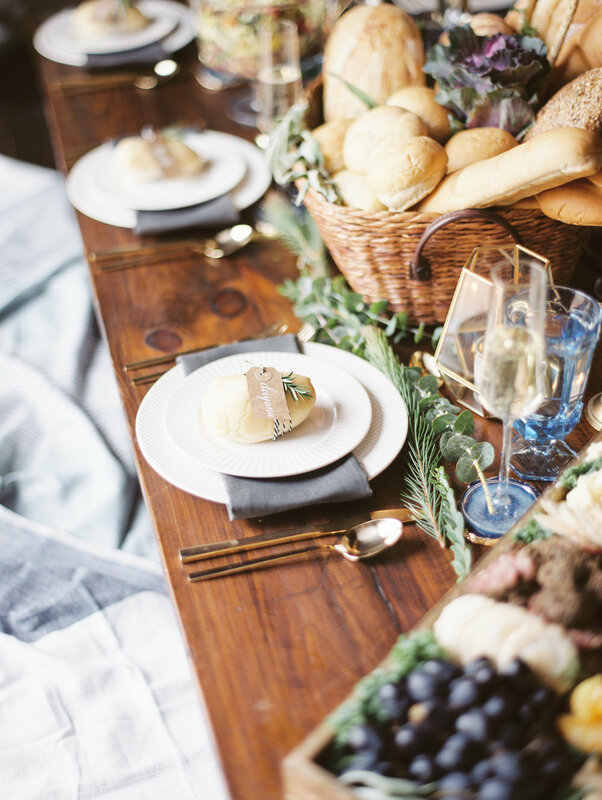 So, here are a few tips on how to host a purposeful dinner. Be Open: Many of us are guilty of spending all of our time with people exactly like us. Same color, same religious and political views, same socioeconomic status, etc. If we are in pursuit of unity and creating change within our community, than we need to look for guests that are different from us in some way; different ages, backgrounds, cultures, and careers. They don’t have to be complete strangers, but try to go for the people in your sphere of influence that you don’t know as well. Be Intentional: Seek out your guests and put a date in your calendars, even if it is weeks or months away. Everyone is busy, and if all we ever do is make comments like, “we should get together soon,” but never nail down a time and place, it won’t happen. Be Thoughtful: You don’t have to spend a lot of money feeding and entertaining your guests, but do try to make them feel honored and cared for. Good hosts are constantly checking in with guests to ensure they are comfortable and welcome. You want your guests to want to come back again. Be Inquisitive: This is an intentional, purposeful meal. You have invited guests to your home to connect with them and/or have them connect with each other. Conversation should be deep and meaningful. Come prepared to discuss money, politics, religion and race. Ask specific questions that will help you get to know more than just what that person does for a living, but their passions, beliefs, hurts, fears, and hopes. Come prepared to listen and validate, not monologue and argue. Be Impactful: This isn’t a new idea. Many people already incorporate these principles seamlessly into their lives. So if that’s you, carry on and spread the word! To those who want to start, do it! It doesn’t always have to be an elaborate dinner either. You could also organize a purposeful lunch or breakfast. The point is to use mealtimes as a way to connect with others! So, pass the salt and raise your glasses to love and to unity, and may the seats around our tables be filled with a colorful cornucopia of people, and may we seize every opportunity to bring about change in our communities by simply sharing our favorite foods.